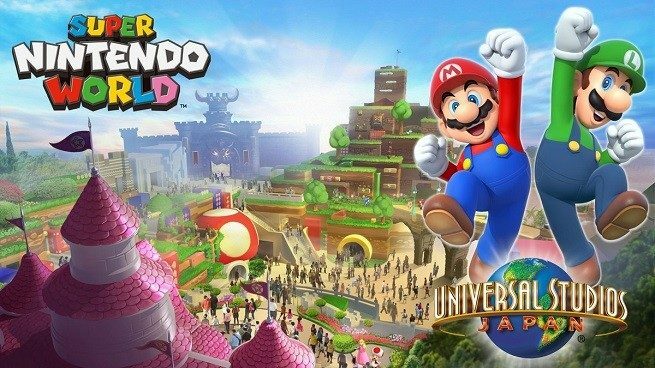 During its investor relations briefing, Nintendo revealed that its much anticipated Super Nintendo World theme park has a date. The park, in collaboration with Universal Studios, will open its first wing in Japan in 2020, just in time for the Olympics. We won’t have to watch swimming competitions! Woohoo! Sorry. Swimming is actually pretty cool. The theme park-within-a-theme park will arrive in other Universal Studios locations throughout the rest of the decade, but the launch in Osaka is being seen as the key first step to understand what will and won’t entice fans. The investor event revealed a couple more interesting tidbits. Firstly, the upcoming Nintendo + Illumination (Despicable Me, The Grinch) collaborative Super Mario movie project is aiming for a release “around 2022.” While that still seems a long ways away (it is!) at least the companies know not to rush through development of the animated film. Things could go wrong if they do. Finally, it’s kind of amazing that Nintendo didn’t already have a retail location in its home country. The Nintendo Store in New York is wildly popular, and so the company has revealed that it’s building a sister location in Tokyo named… Nintendo Tokyo. The building will be located in the Shibuya Parco, and be a “new base for communicating Nintendo information in Japan.” It’s schedule to open later this year in the Fall.